Looking for a winter daily? 2012-2014 Acura TL SH-AWD w/tech pkg were available with the 6-speed manual. They are running around $21,000 right now and do have a handbrake directly next to the shifter. Only the 2010 model year (for this spec) had the oversized shield you associate with the 4th generation TL. (For the record though, I will say the TL wore it best and that going for a 2010 will probably get you a 100,000 mile super-Honda for $15,000 or less). That is a fully loaded five year old Acura for less than the price of an HR-V. That vehicle uses the largest Honda car engine (the 300+ hp 3.7L V6) with their legendary 6-speed, and VTEC on both the intake and exhaust valves. 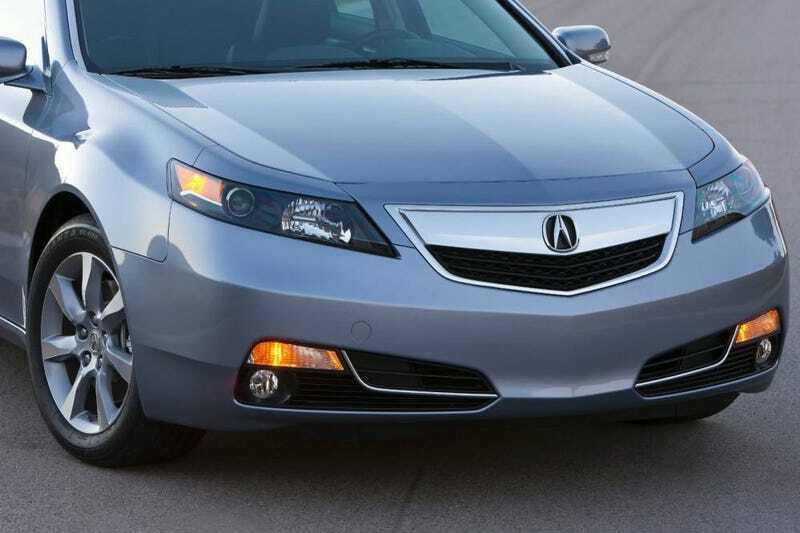 Not to mention the Acura-bump in safety, technology, and materials. It also provides an AWD system that runs a front-bias 90/10 split regulary HOWEVER it can send up to 70% of its 270+ lb-ft of torque to each rear wheel. That means the car will rotate as long as you manage the throttle after turn-in. In other words, it rewards standard hoon mentality. I’ll also remind you that the 2012 Acura TL SH-AWD 6MT was only $44,000 five years ago, so it’s retaining its value well for the class.